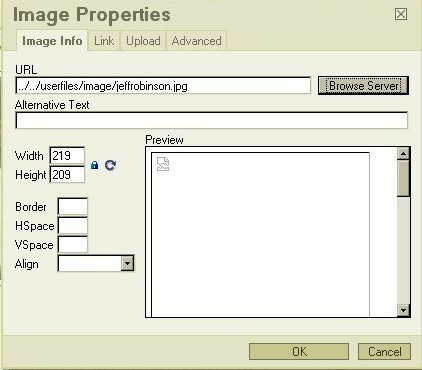 When using the Image Properties dialog and browsing the server for images, the images are located in the proper directory and can be selected. 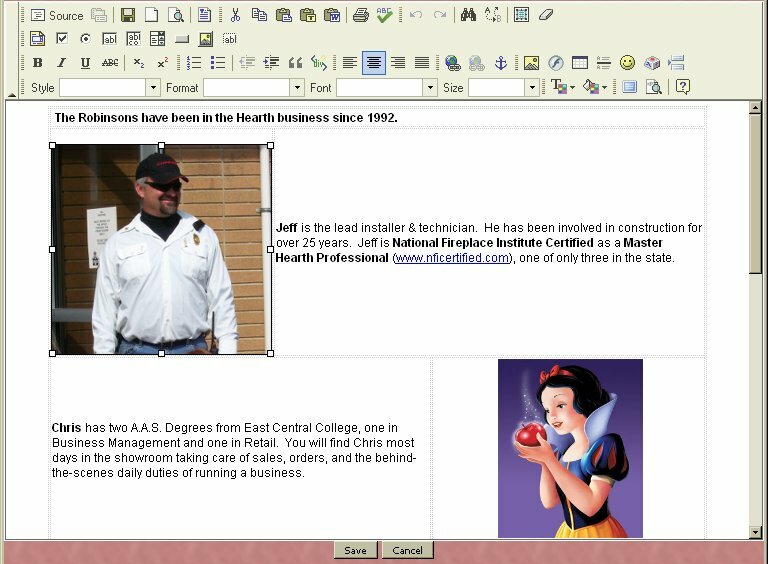 In the following example I selected "JeffRobinson.jpg". The images don't, however, show up in the preview window... they show as a broken image. If I ignore this fact, and accept the image anyway, the image shows up in my page and, when saved, properly shows up on the final page. My application launches a window with the fckeditor allowing the user to edit partial pages stored in the UserPages folder. The images that they upload are being stored in the userfiles/images folder. 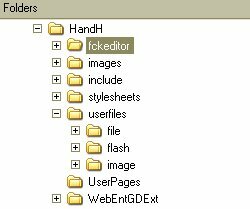 These partial pages then are included into the main pages that are displayed from the root HandH folder. Parties interested in helping can be given access to see the effect first-hand. 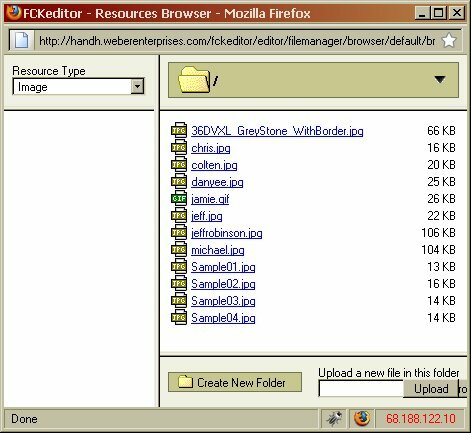 This will set the absolute URL to uploaded images ( sets from PHP Global variable SERVER , works for localhost as well as http://www.example.com ... ) , here you need to create dir " fckeditor/uploadfiles/" , for all uploaded images. Your image src tag looks like "http://www.example.com/FCKeditor/uploadfiles/test.jpg"
$Config['UserFilesAbsolutePath'] = $_SERVER['DOCUMENT_ROOT']. '/fckeditor/uploadfiles/' ; this is config variable returns path to upload image dir of apache server - 'C:\wamp\www\fckeditor\uploadfiles\ and second line should be same like "/fckeditor/uploadfiles/" used in $Config['UserFilesPath'].